Looking for a grea way to dress up your 2010-2014 Camaro? Our Polished Stainless Steel, Door Jam Covers for cars with Lambo style doors. 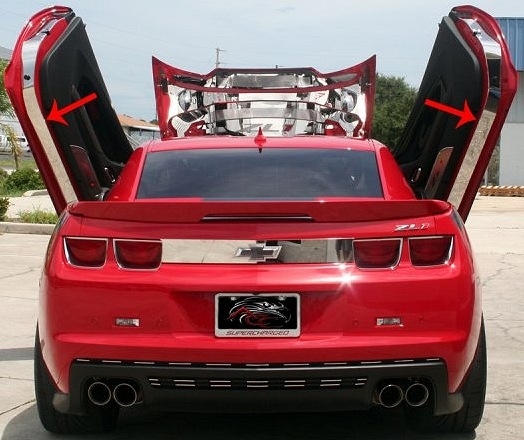 These trim pieces are designed to fit all 2010-2014 Camaros on the inner door jam and add a clean stylish look to your Camaro interior.